I'm a city girl through and through. That means I innately hate driving, the inconvenience of having to go somewhere where I can't just walk, and the general idea of something that I need not being accessible to get to. Because of these things, I'm always very picky with where I want to travel. Cities that prove themselves to be extremely accessible and easy to get around automatically get bonus points in my book. Luckily, Savannah is one of the most convenient and easiest cities to navigate that I've ever been to. Here's why... Have you ever been to New York? It's a grid. Guess what's also a grid? Savannah. Yes! Sign me up! 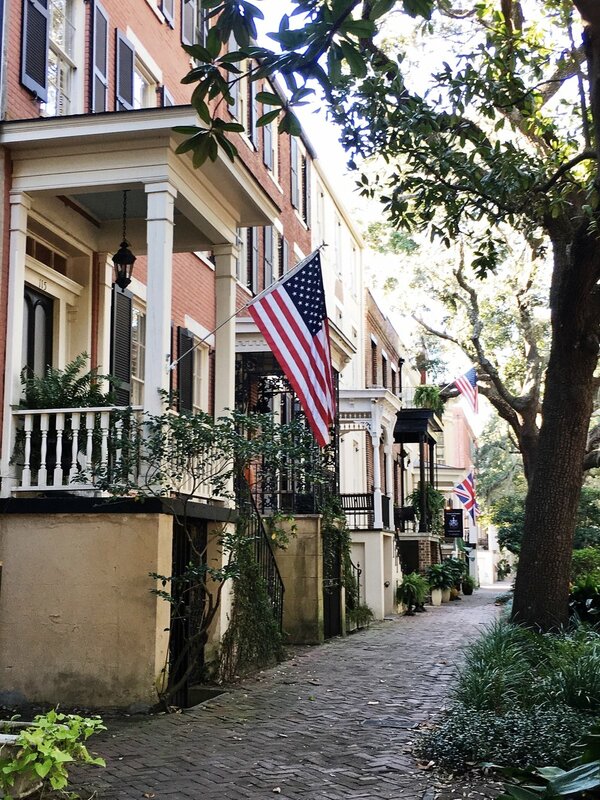 If you're heading to Savannah, the best way to explore it will be on foot. It will give you the chance to go as slow or as fast as you'd like and see as little or as much as you want during your stay. If you don't mind spending a little money, you can definitely sign up for a guided tour with a professional (best for people who want to learn the history and just follow along with a group); OR you can just take the adventurous route and explore on your own (my preferred method)! Below are 3 examples of walking routes that you can take around Savannah depending on what you're looking for. 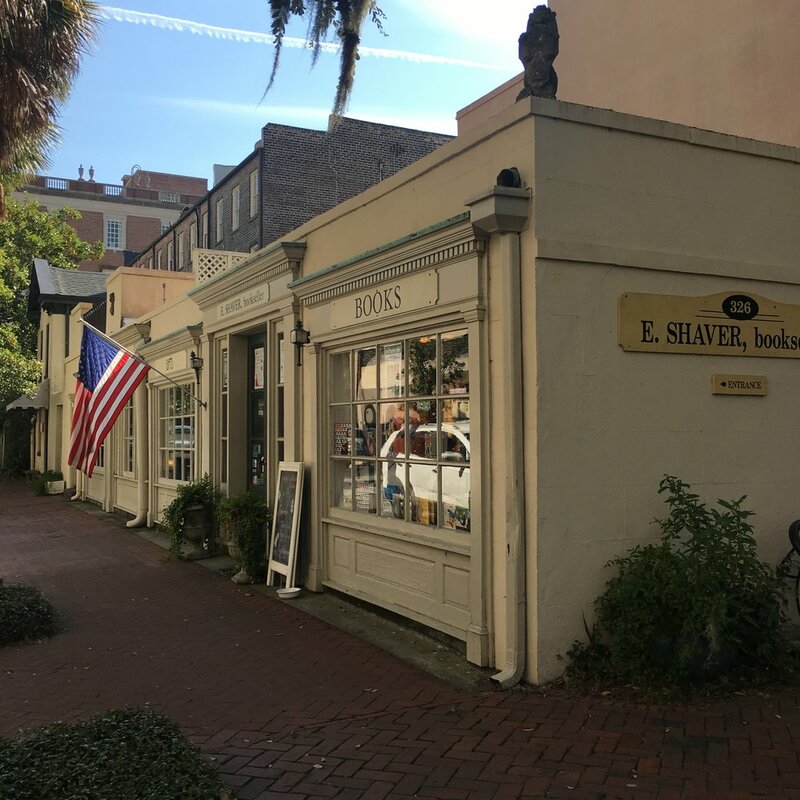 Check out our full Savannah City Guide so you can get better acquainted with where to eat, sleep, and play on any budget! Wear comfortable shoes when you're exploring Savannah because you could easily spend an entire day outside walking around. Come with an empty stomach because the food in Savannah is to die for! I'd recommend having a full day out where you can eat breakfast, lunch, and dinner all during your walking tour. You won't have any problems finding great restaurants with the routes provided in this post. The walking tours below are just suggested routes to start with, but I also recommend exploring on side streets and charming roads that look appealing to you! Savannah is so easy to get around so it's definitely easy to just zig zag around from street to street (that's pretty much what I did during my stay). Before visiting Savannah, a friend was telling me I absolutely had to check out all of the "squares" around the downtown area. I have to admit... I was a little bit confused until I actually got to see them and appreciate them for myself. 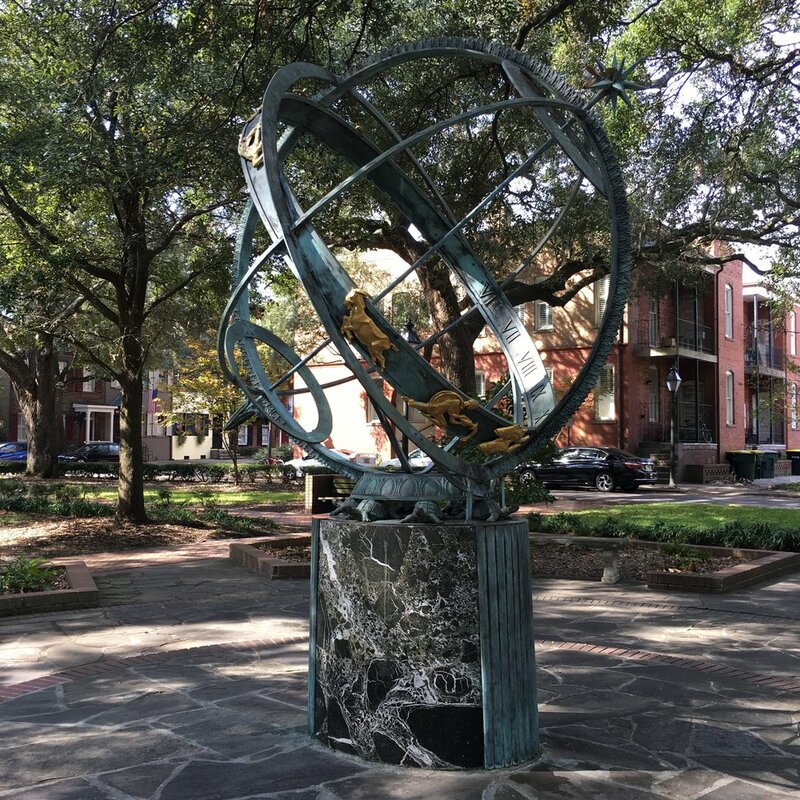 Savannah currently has 22 historic squares that you can see and enjoy when you visit. Each square has its own name and look, with most of them having a unique statue, sculpture, or structure as the focal point in the center. They are all lovely in their own right (and I recommend seeing all of them), but my personal favorites are Chippewa (made famous by Forrest Gump), Lafayette, Greene, Madison, and Johnson. 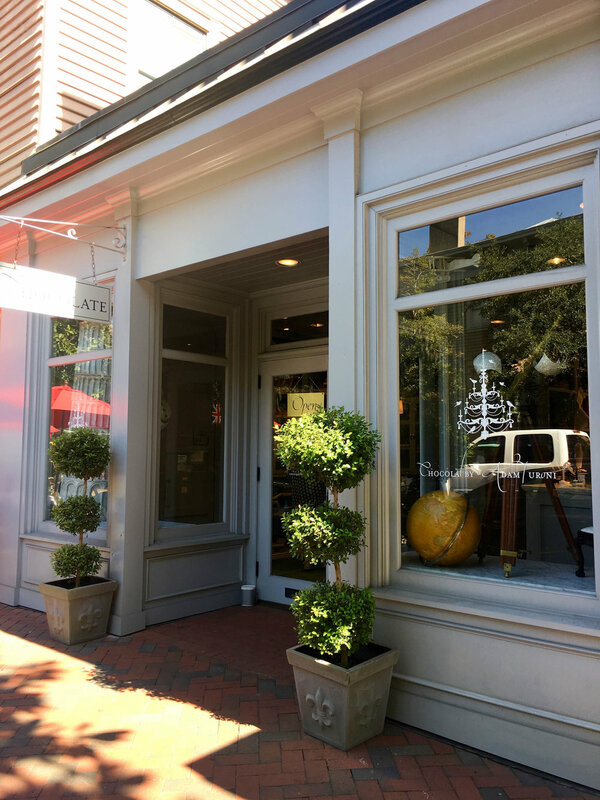 There are so many incredible places to shop around Savannah that are unique to the city. This route takes you through the City Market, Broughton Street, and down Bull Street with the occasional zigzag here and there. Make sure to stop by The Paris Market, Savannah Bee Company, Chocolat by Adam Turoni, E. Shaver Booksellers (as well as their adjacent tea shop), One Fish Two Fish, Shop SCAD (where you can shop local SCAD student's artwork), as well as tons of shops along Bull Street and Whitaker Street. There are seriously so many amazing shops and boutiques that you can make an entire afternoon of just stopping in different places. 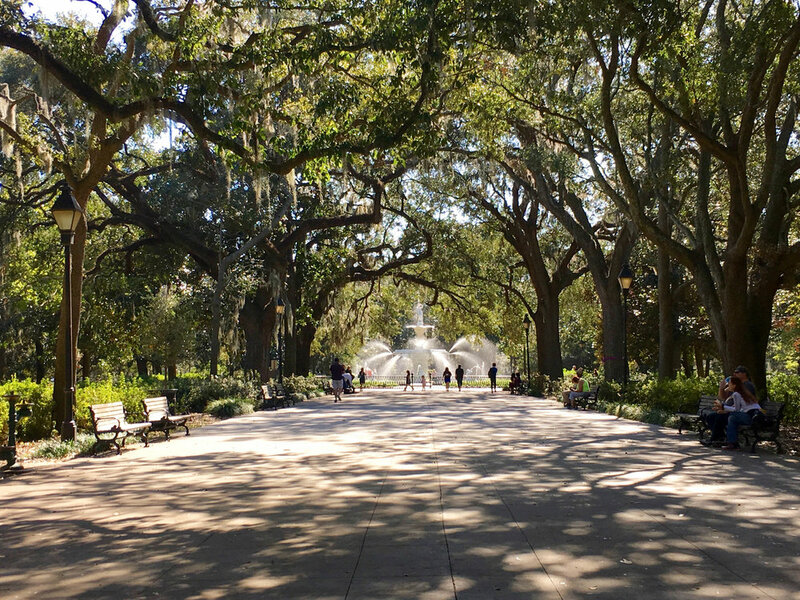 A visit to Savannah is just not complete without a visit to Forsyth Park. The park, which is especially gorgeous at sunrise and sunset, is known for the iconic fountain shot that you'll see off the entrance of Bull and Gaston. You can walk through the park, sit down for a picnic, visit the rose gardens, play some tennis, or attend concerts and other events that happen from time to time around the park area. After spending some time in the park, stick around the area to roam the downtown Historic District so you can marvel at all of the gorgeous homes and mansions. All of the tree lined streets with Spanish Moss on them are simply breathtaking. This route will take you around some of my favorite areas, but you should also follow your adventurous instincts and explore the streets that excite you! What are some other walking routes or areas you would recommend in Savannah? Comment below with some more must-see places! 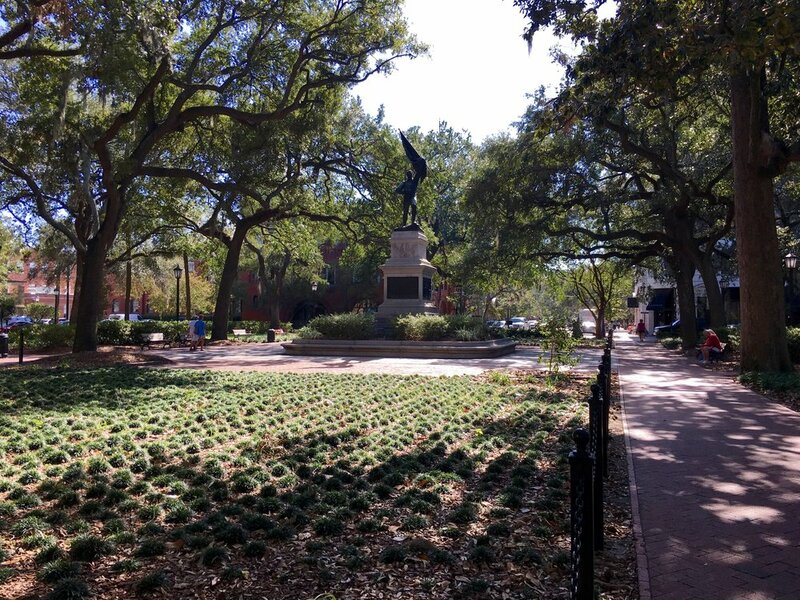 If you're exploring Savannah, try out these walking tours and let me know what you think!